If you’ve followed me at all you know it’s no secret that I have an affinity for all things productivity related. So naturally, I was all in on the 24/7 access to my entire workflow that apps provided. And, I’m just a fan of playing around with new apps in general. From discovering innovative ways to streamline my workflow to tinkering with new features and playing games, I love everything about them. The reality is, though, once the novelty wears off, the majority of the new shiny apps I can’t get enough of today are quickly relegated to the graveyard that is page 2 of my phone’s home screen. They may be fun today, but many just don’t do the required heavy lifting every day to justify keeping them around. However, every once in a great while a new app enters my life, and I quickly forget how I ever lived without it. Dropbox was one of the first such apps for me. (Remember the nightmare of tearing the house apart desperately searching for the floppy disk your term paper was saved on?) Since then I’ve become equally attached to a few other handy apps, but over the last year Evernote has emerged as an app I can’t live without, and has solidified its position on page one of my phone’s home screen. I first found Evernote in 2009, but it wasn’t love at first sight. I had just made the switch to a Macbook, and I was looking for an alternative to Microsoft’s One Note, which didn’t offer a Mac version at the time. I used it for a few weeks, but it just didn’t stick. I re-visited Evernote again my first year in practice to take notes during continuing education courses, but again, it just didn’t stick. 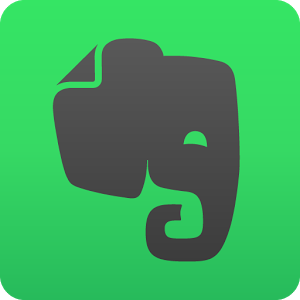 Then last summer I heard a mentor mention Evernote as their favorite app, so I decided to give it one more shot. I’m glad I did. I’m not certain if the app got that much better over the years, or if I should attribute it to user error, but Evernote has quickly risen to Dropbox-status in my life. The picture function is one of my favorite uses of Evernote; I use it almost every day. I take a quick shot of something and Evernote immediately saves it as a note. I use this for documents, post-it notes, business cards, prescriptions, house measurements, products I need to purchase, advertisements I want to remember, and even my license plate. I just snap the photo, apply the proper tag, and now that information is immediately at my fingertips across all my devices. No more rubber-banded stacks of business cards clogging up your drawers and your life. Evernote makes saving business cards and contact information a cinch. Simply press the button to take a photo in Evernote and hold the camera over the business card. Evernote will automatically take the picture, recognize it as a business card, edit the edges, and import the contact information from the card. A handy feature is the ability to connect with the contact on LinkedIn automatically. You can also make notes about the contact, such as where you meant them or personal details you want to remember. Before Evernote, I was using a combination of Dropbox and Slack to collaborate on projects with colleagues. Now, Evernote covers it all. Evernote allows you to share notes, notebooks (collection of notes), and stacks (collection of notebooks) with anyone you choose. You can give them as much or as little access and editing ability as you wish, giving everyone on the team instant access to the entire workflow. What puts Evernote over-the-top in the collaboration space is the native instant messaging feature (“work chat”) that allows users to message individual users, multiples users, or the whole team. The best part is Evernote is 100% free forever for the basic features. I’m a full-fledged member of Evernote Nation (my unofficial title), so I have a premium account, but for many people, the basic account is all they will ever need. Being the rabid brand evangelists that I am, I’m happy to answer any questions you have in the comments section. 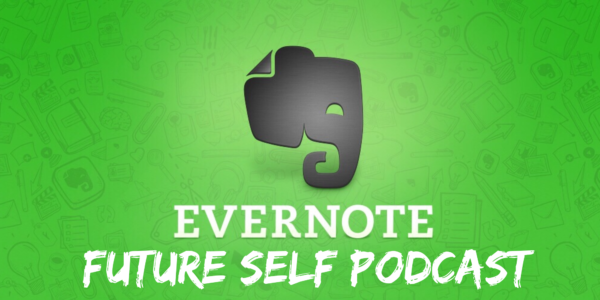 Click Here to sign up for Evernote and get a FREE month of Evernote Premium.